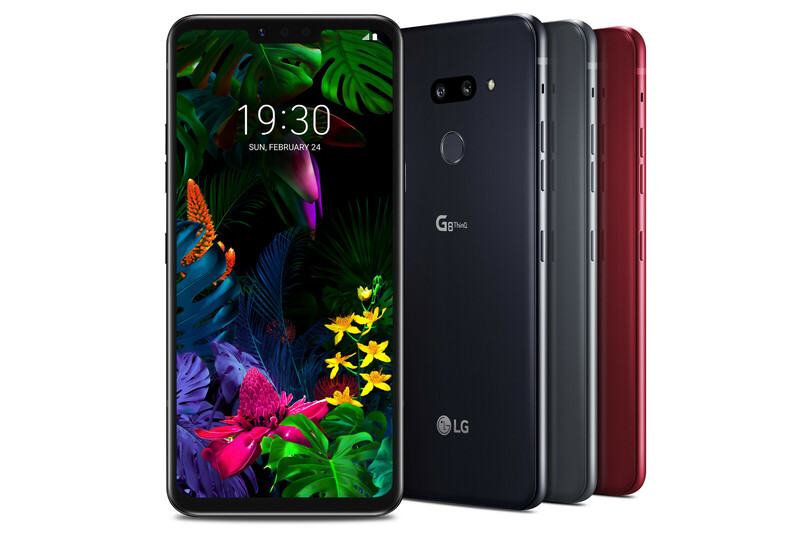 It's LG's turn to awe us here at MWC and the company has just announced the LG G8 ThinQ — its 2019 flagship for the masses. The new phone builds on the G7 and adds some nifty new features, such as a ToF camera and air gestures. Let's take a look! 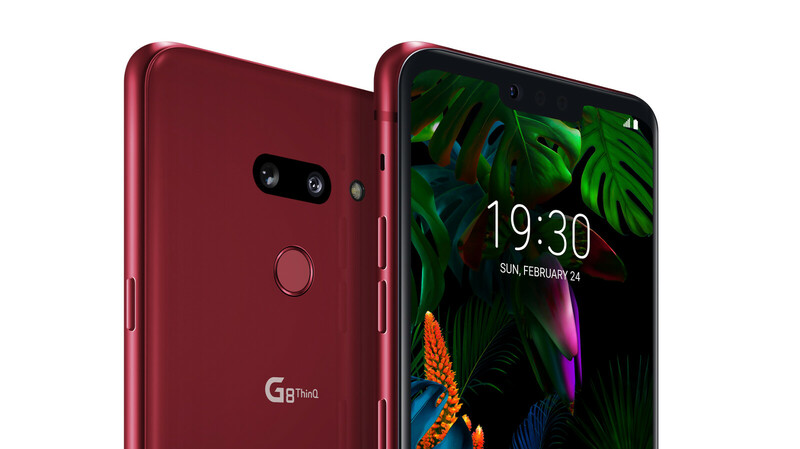 The LG G8 ThinQ looks a lot like last year's LG G7 ThinQ. Its sides are a bit curvier and its camera module on the back has been turned horizontally again. This time, the camera's profile is completely flush, with no bumps or hills on the back. There's still a fingerprint scanner back there and a glass panel as well, as the phone still supports wireless charging. 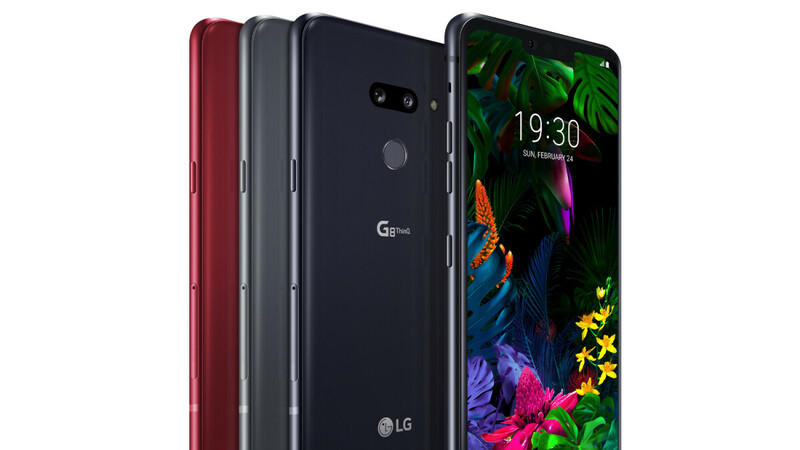 A new addition to the G line is the display panel — instead of sticking to LCD, the LG G8 ThinQ now sports a 6.1-inch OLED screen up front, still sporting a crisp resolution of 1,440 x 3,120. 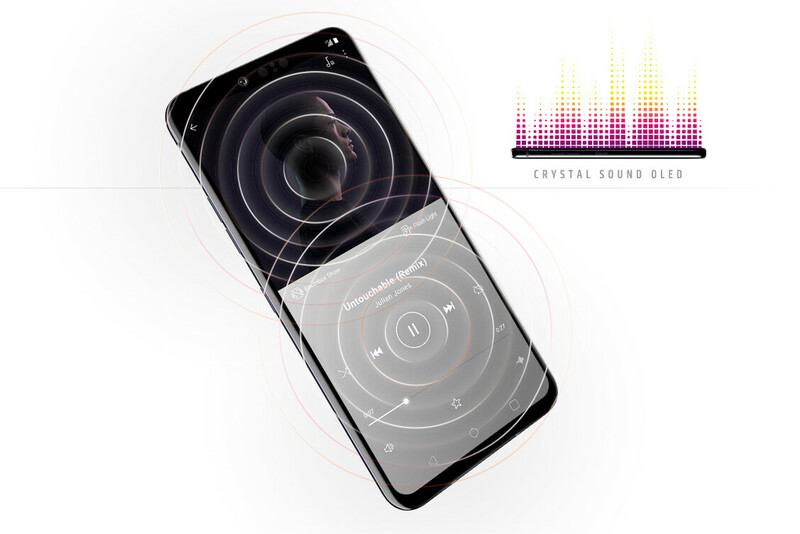 And it's a special one, too — LG calls it the "Crystal Sound OLED" as it's capable of vibrating like a speaker diaphragm, essentially acting as an earpiece. So yes, this phone does not have a speaker on the front, you will need to press your ear against the display during calls. The LG G8 ThinQ has a new camera module up front called the Z Camera. It utilizes a ToF (Time of Flight) sensor to quickly and reliably create depth maps of whatever objects it's looking at. 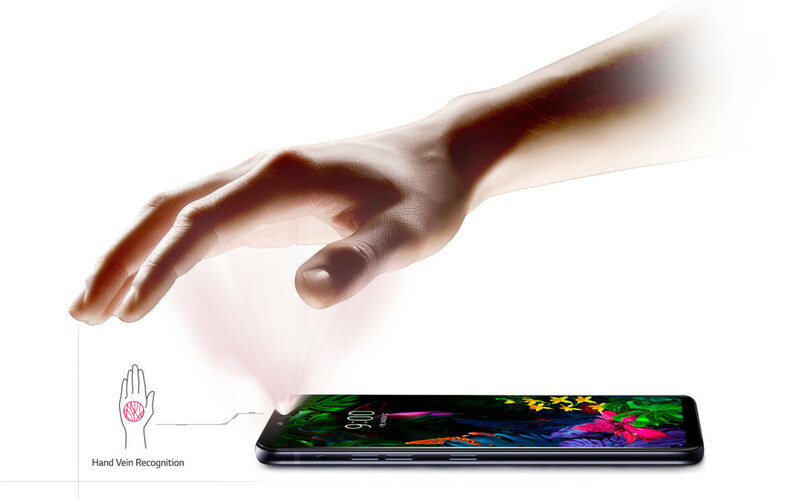 For example, the LG G8 ThinQ can scan your hand down to the veins in your palm. This is used as a biometric unlocking feature — show the phone your palm and it unlocks. The G8 will also support facial recognition through the Z Camera. And no, it's not affected by lighting conditions, so it should, in theory, be as reliable as Face ID. But that's not all — a new Air Motion feature will allow you to interact with the phone by just waving your hand in front of the selfie camera. You will be able to take or reject calls, switch apps, take screenshots, or change volume without touching your phone. That'd be useful when cooking or cleaning, for example. We still have "only" two cameras at the back of the LG G8 ThinQ — a 12 MP standard and 16 MP super-wide-angle one. The main camera has a very wide aperture of F1.5 and the sensor has 1.4μm pixels. In the smartphone world — these are considered big and contribute towards better night shots, as they collect more light. The wide-angle camera has an F1.9 aperture and 1.0 μm pixels on the sensor. We do have new software features to enjoy! The so-called "Video Portrait" mode will take that faux bokeh effect we've seen on photos over the past 4 years and apply it to video in real time. LG utilizes what it calls a Dual FOV technology to capture multiple fields of depth — that should make for some pretty awesome cinematic shots if it works out right! The selfie snapper on the front has an 8 MP sensor with an F1.7 aperture and 1.22 μm pixels. It's neighbored by the Z Camera (ToF camera), which is there for depth-perception only. Aside from the stereo sound emitted by the Crystal Sound screen, there's also a quad Hi-Fi DAC on board. Now, this has been an LG staple for a while, so no surprises here — the company still caters to the audiophiles! Here's how the G8 ThinQ fares versus the Samsung Galaxy S10 and Nokia 9 PureView! As one might expect, LG's latest flagship is coming with Android 9 Pie on board. Of course, it's heavily skinned with LG's interface on top. We are curious to find out how LG implemented the gesture controls of Pie — does it go with the standard gesture pill, or would it implement something iPhone-esque? As for software updates, all we have to go on is a promise — in early 2018, LG launched the Software Upgrade Center, which is a branch of the company specifically tasked with bringing timely software updates to customers' devices. LG said it is comitted to playing the long game, we've yet to see some proof. Maybe this year's phones will be the testbed? Unfortunately, LG didn't disclose any launch or pricing details at this time. The phone will be "available soon" and pricing will be region-specific. So, stay tuned until the carriers announce their LG G8 ThinQ offers. Damn, I'm impressed LG. These gestures can add some serious depth to the way we interact with our phone. I am sure it is not as good as is sounds: every time you accidentally put your hand in front of the phone it will do things you never wanted to do. So the beast is back. With a bang! The only reason why I would I have bought LG again would have been an IPS display. They can't compete with Samsung Oled. Big deception. kind of feel bad for lg. it already got overshadowed by the s10. I've always loved that LG is trying to do new things. Sadly, the S10 is just so good that it can't really compete. 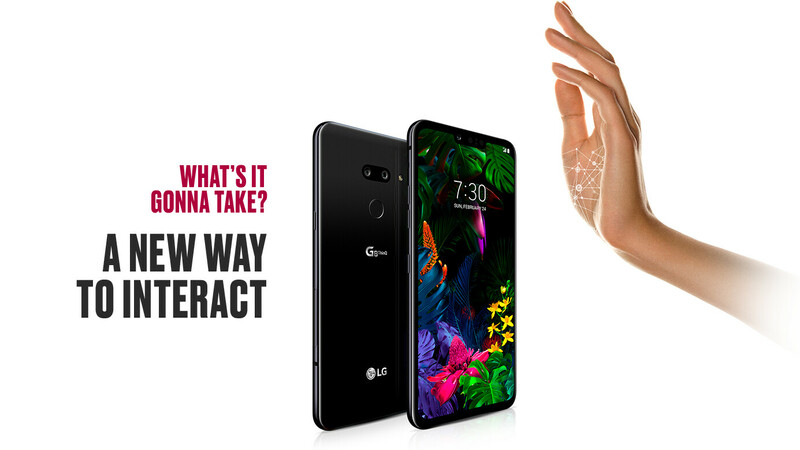 I'm rather impressed with the g8 thinq it has some cool features like the hand ID and air gestures plus the enhanced facial recognition. In some ways it's better than the S10. This one's on my radar. Air gestures, it is an old gimmick. I have never used these in Samsung phones several years ago, I'm sure they wont' be used in LG as well. It does have a 1.4 um 12MP main camera but OIS seems to be lacking...which makes it yet another failure if true.